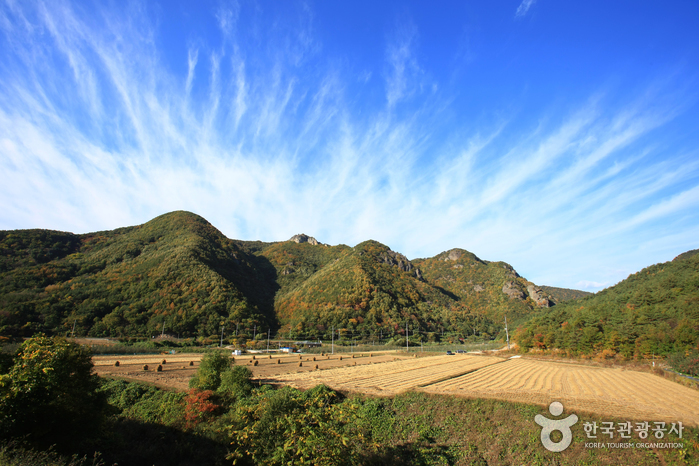 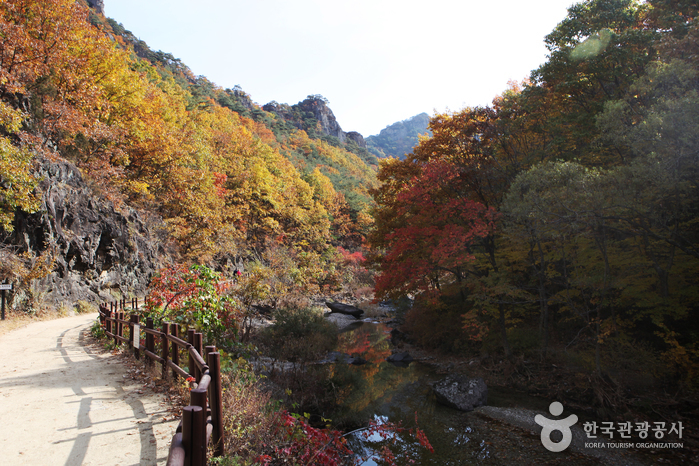 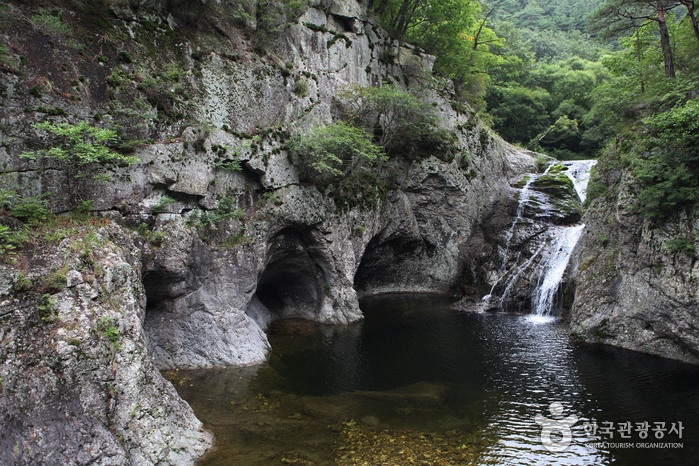 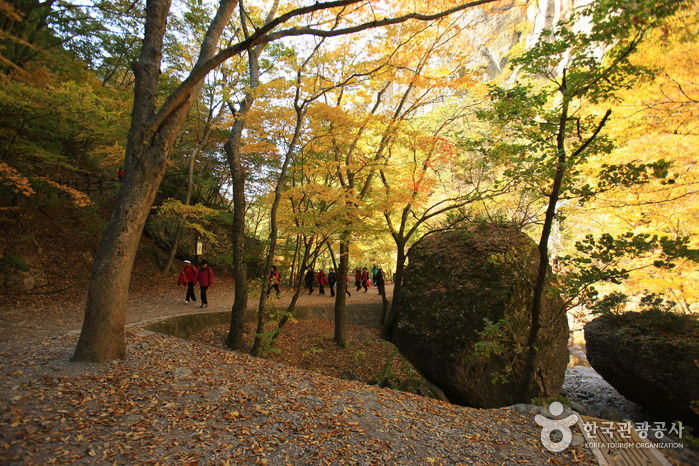 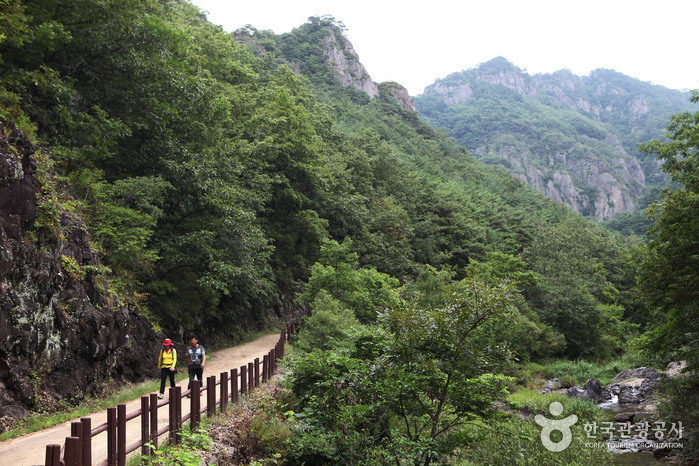 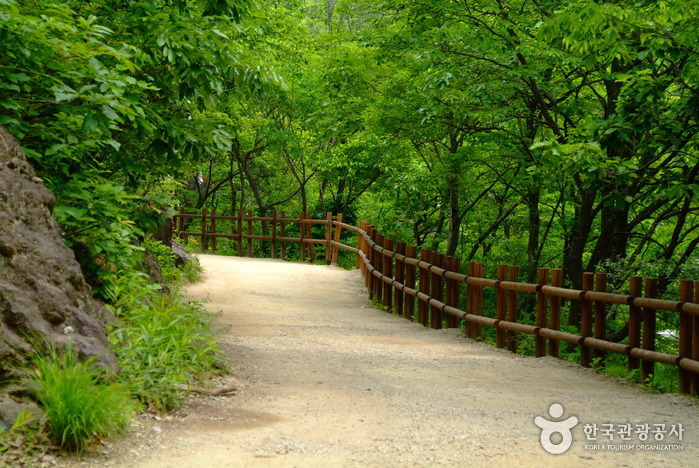 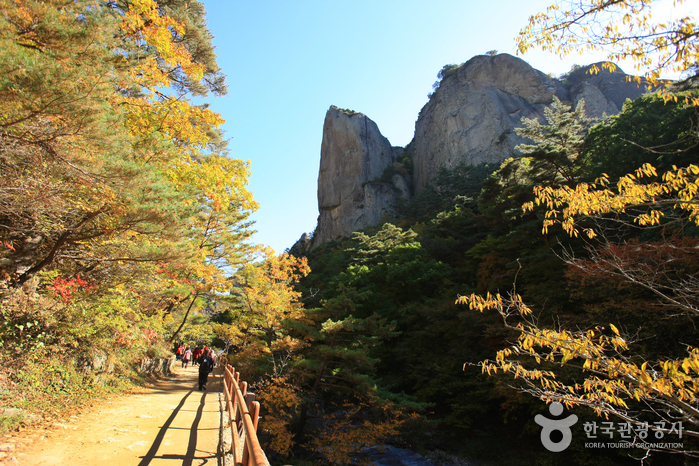 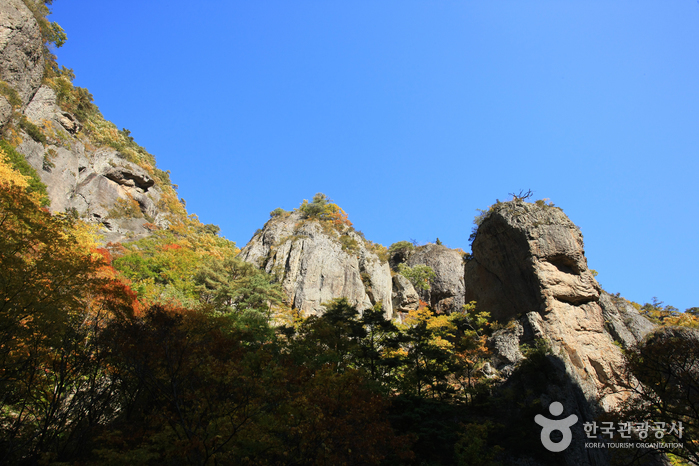 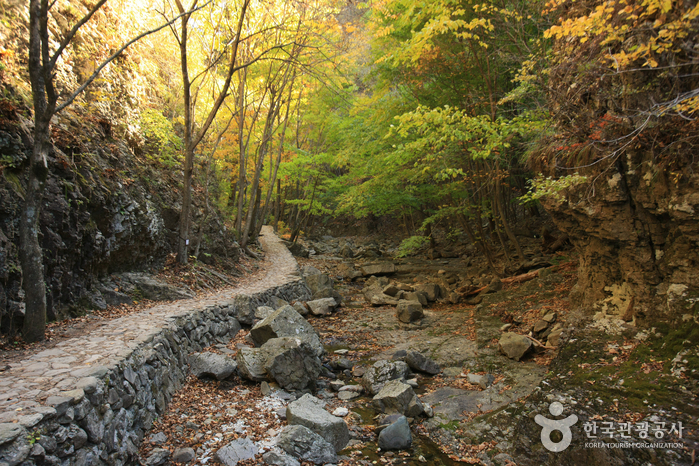 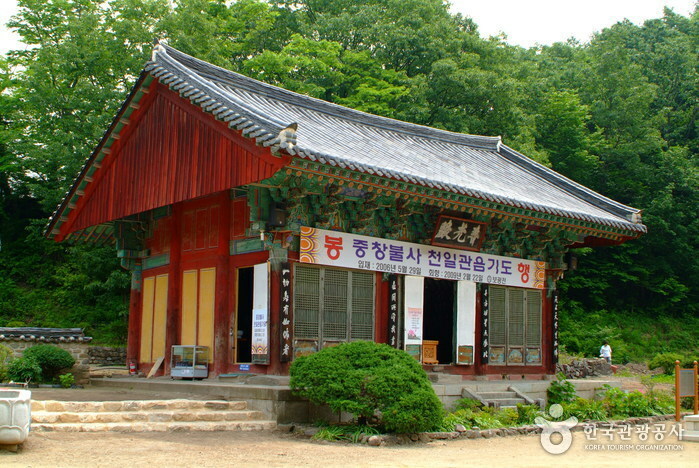 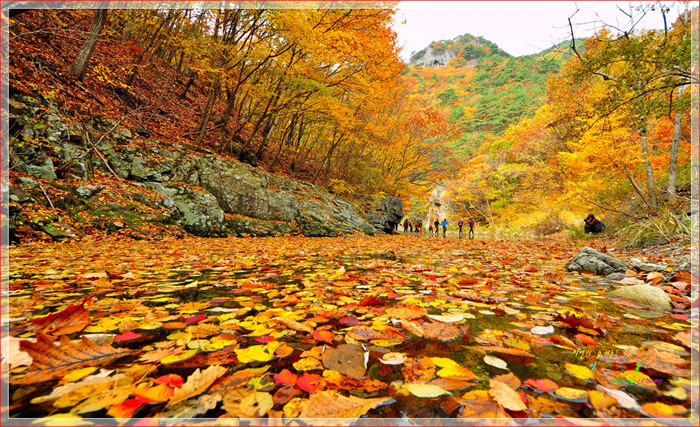 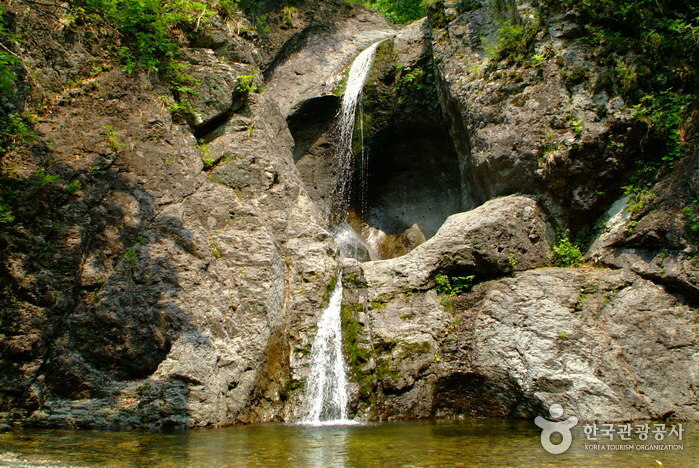 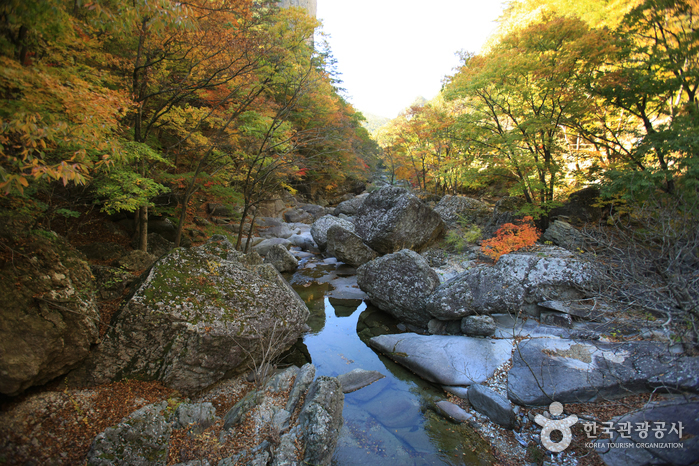 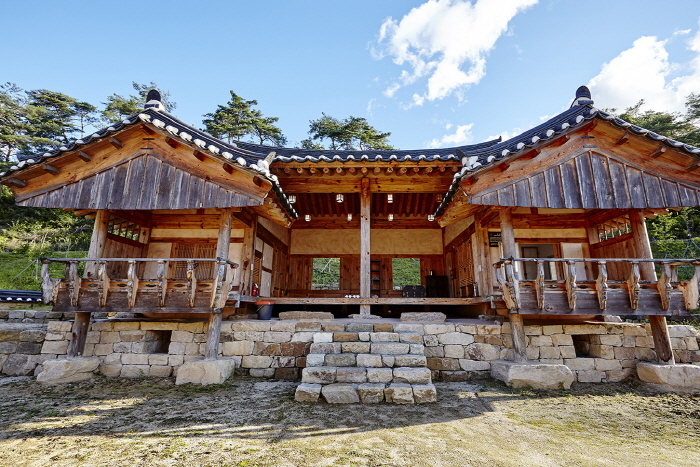 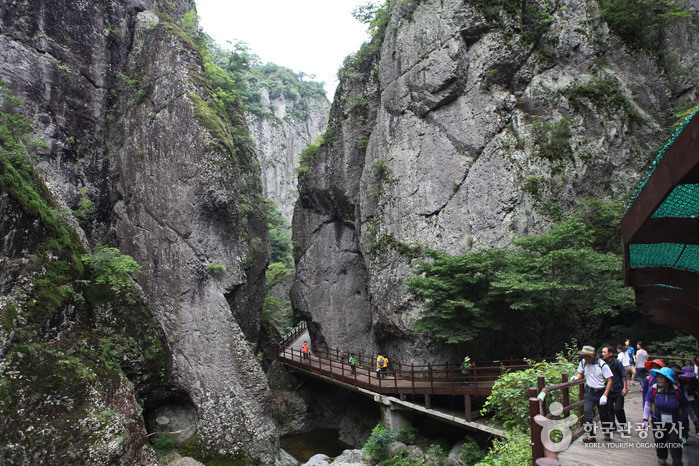 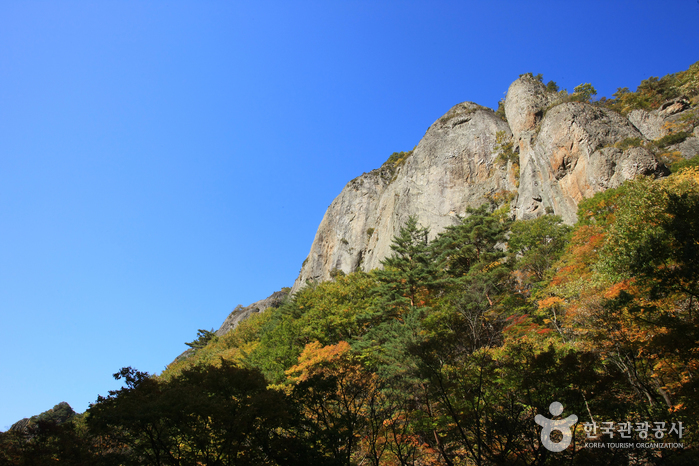 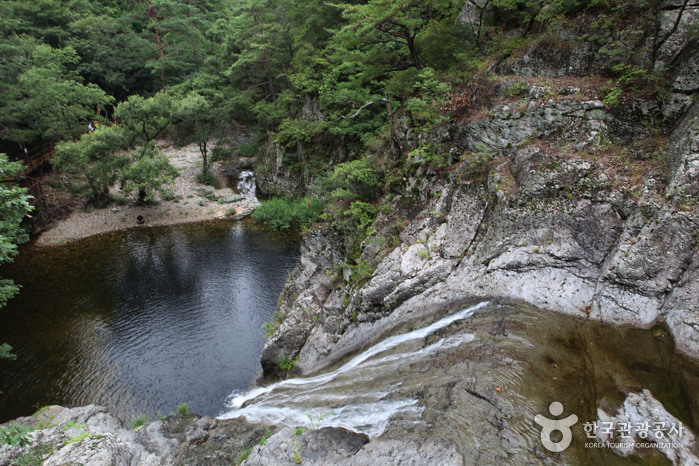 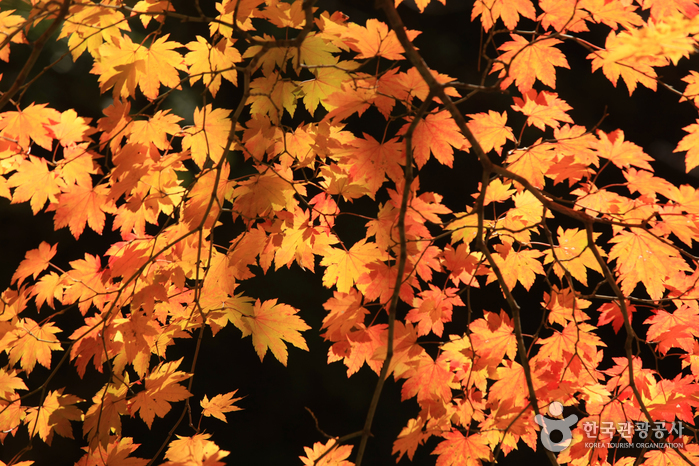 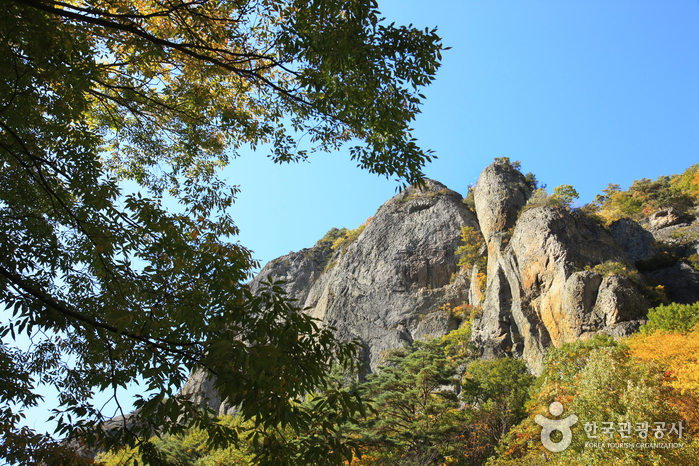 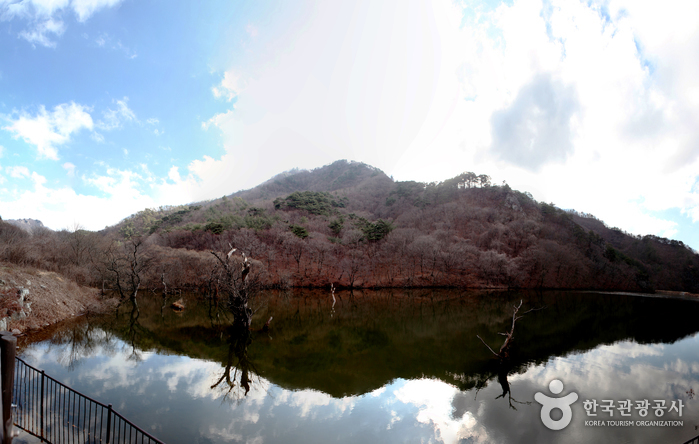 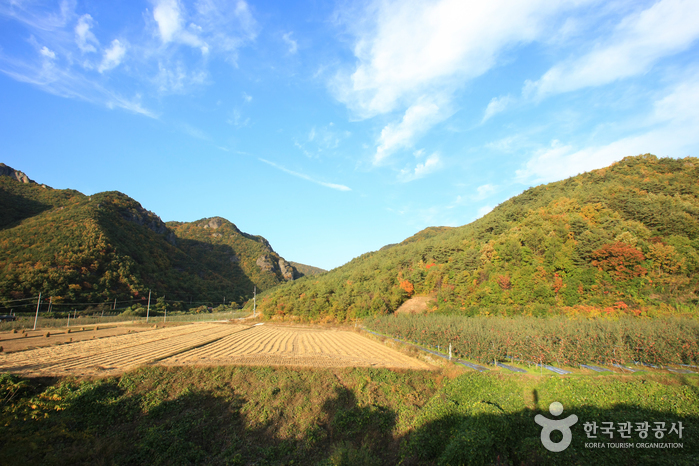 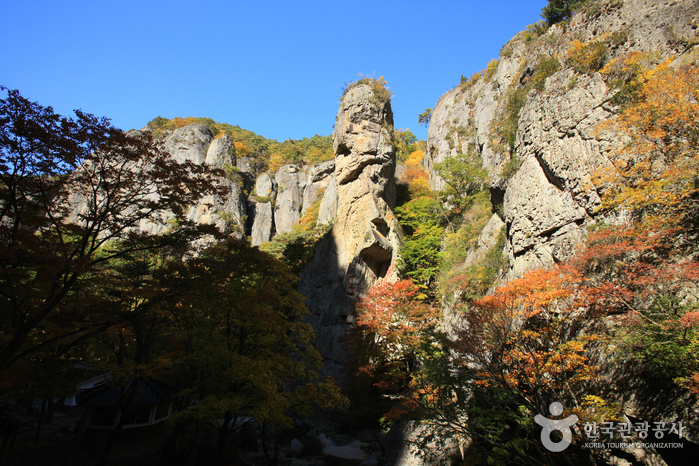 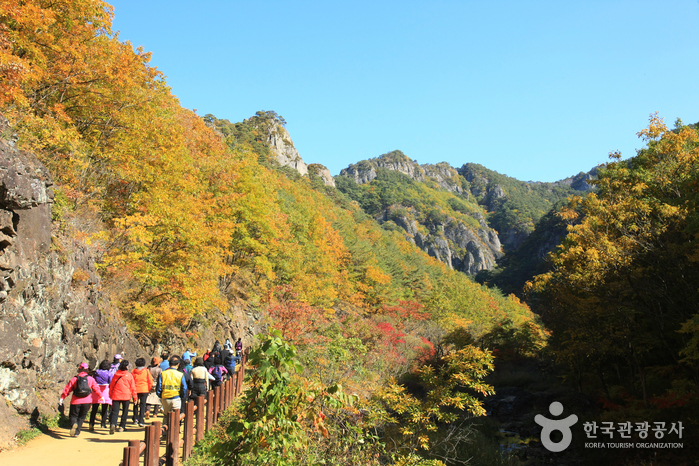 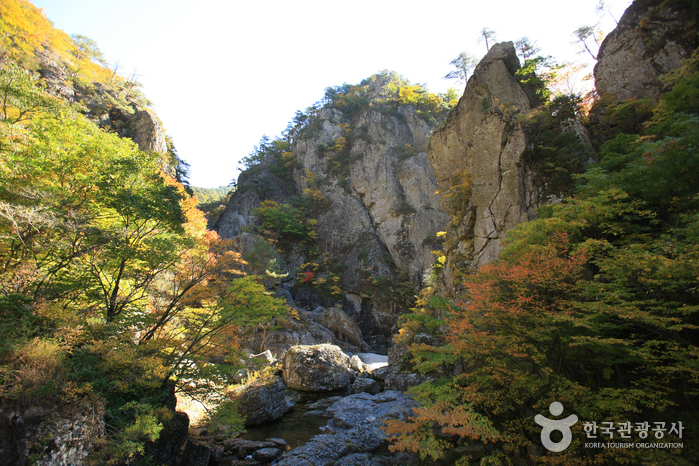 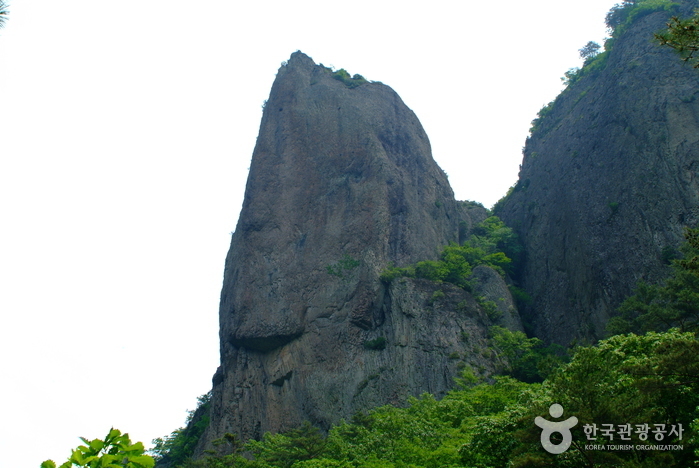 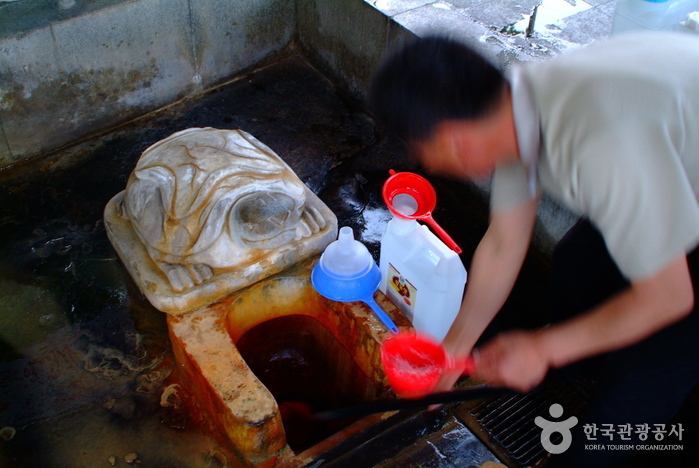 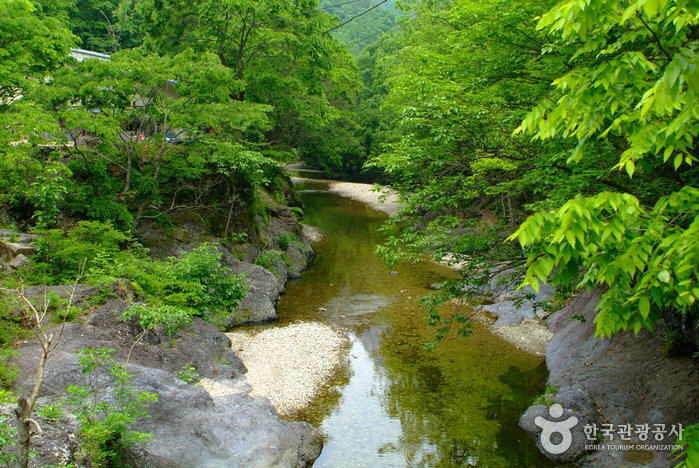 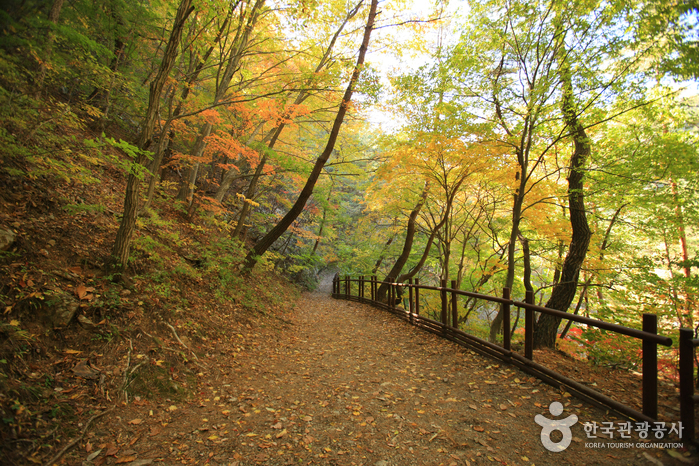 Juwangsan Mountain (720.6m) is located in the Baekdu Mountain range, the backbone of the Korean peninsula. 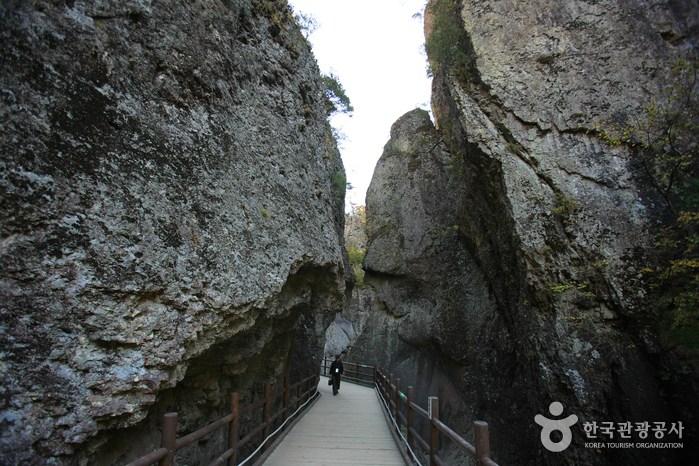 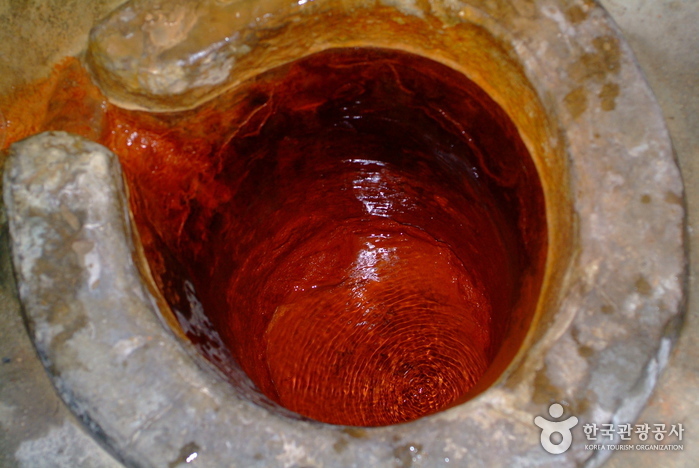 The mountain features deep valleys and many sheer rock cliffs to make it the third largest rocky mountain in the country. 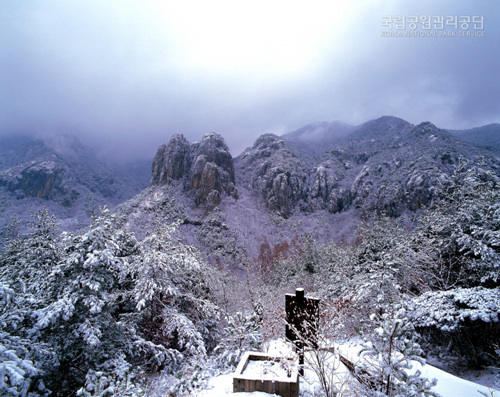 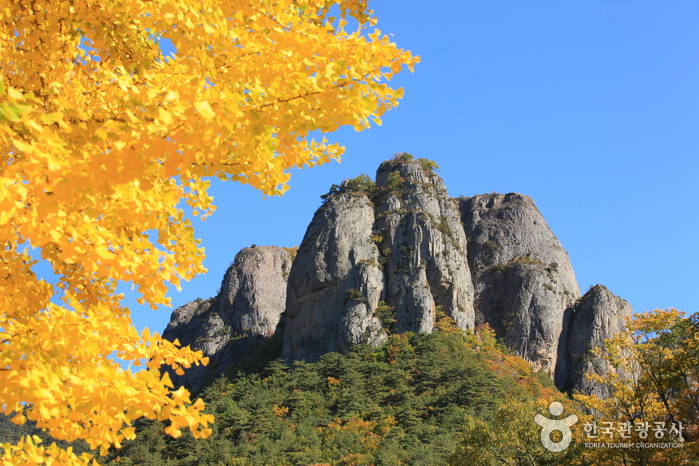 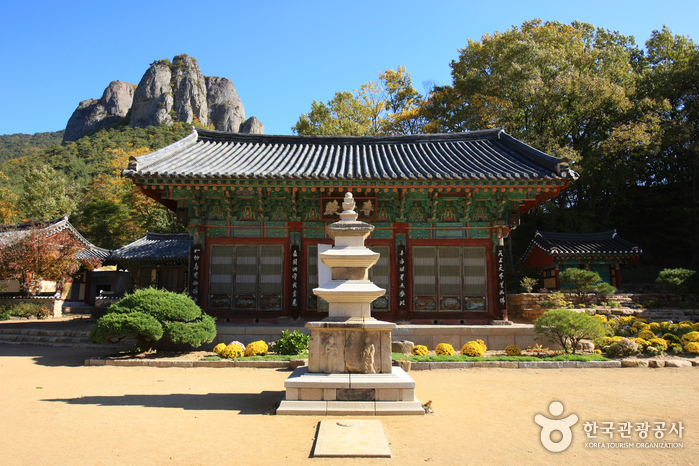 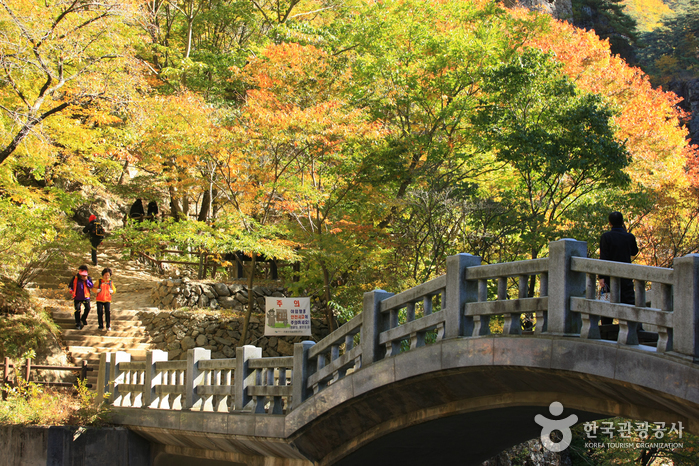 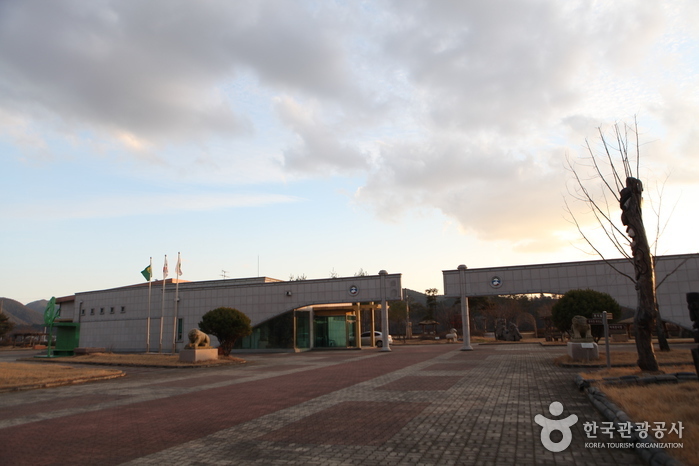 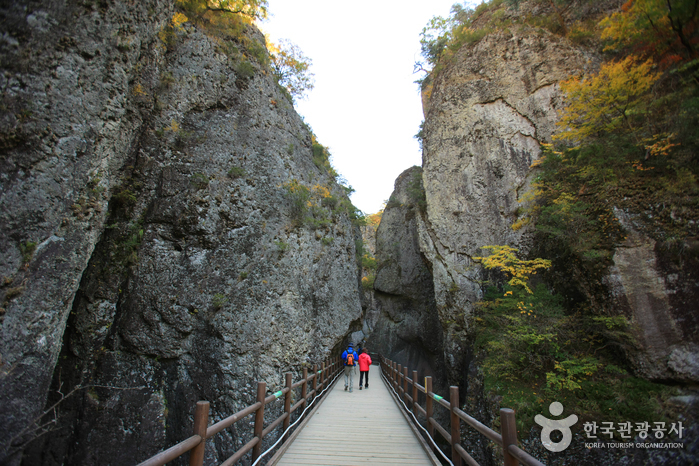 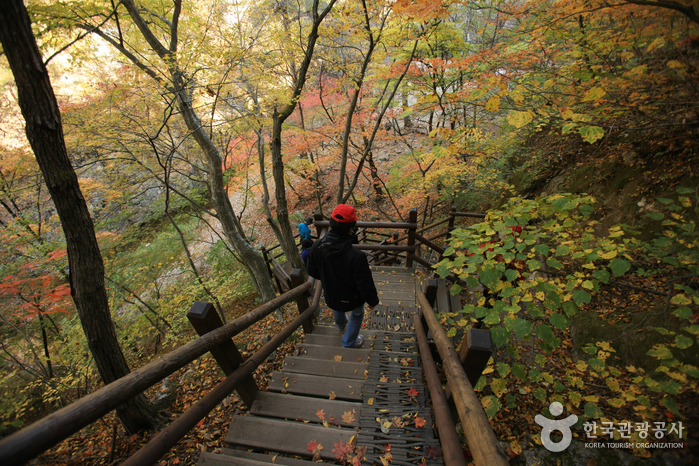 Juwangsan Mountain was recognized as a tourist attraction on May 30, 1972 and became the 12th national park a few years later on March 30, 1976. 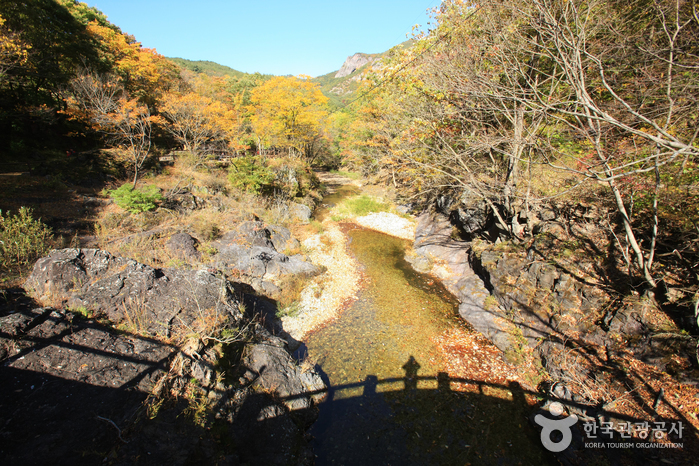 The park is quite small, filling in an area of just 105.582㎢ but is great for a leisure walk with walking trails in place along the valleys up to the waterfalls. 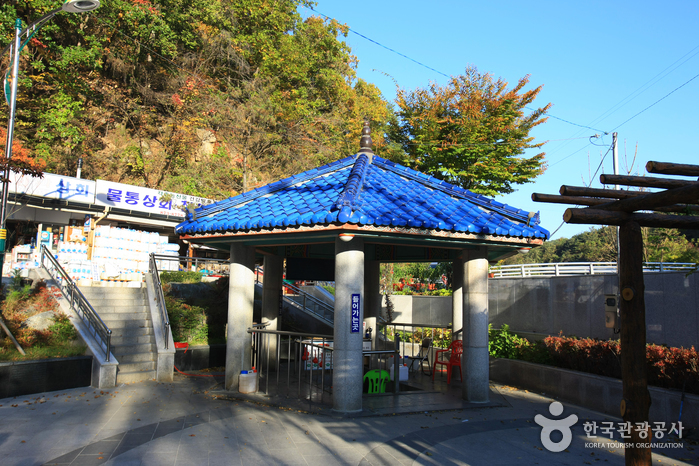 Take a bus from Dong Seoul Bus Terminal to Juwangsan Bus Stop.